We are instrumental in offering our valued clients with precision made Wire Rope Slings & Chain Slings Wire, which are used to harness various kinds of goods. Moreover, our Wire Rope Slings & Chain Slings are flexible, durable and long lasting, ductile, easy to inspect, collapsible for convenient storage, and will adhere securely to the contours of a load. Our clients can avail these products in various technical specifications as per their requirements. We offer these products at very reasonable price. 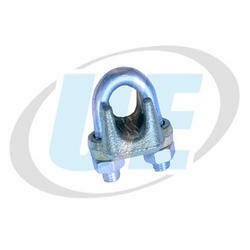 We are engaged in manufacturing, distributing and supplying Wire Rope Clamp ( CRB TYPE). We are engaged in manufacturing and supplying Wire Rope Clip. Our company is the major company known for providing Rail Clamp to the clients. Offered range is very important component that is heavily used in lying of railway tracks. These products are manufactured by using finest quality raw material ensuring enhanced sturdiness. Rail Clamps are precisely designed and engineered under the guidance of our experts so as to make sure these abide by the set standards of the industry. Offered range is available in various specifications so as to meet the requirements of various industrial applications. 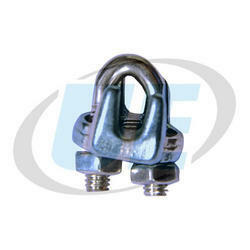 As an esteemed name in the relevant industry, we bring forth a distinguished assortment of Wire Rope Clamp. Turn back specified amount of rope from thimble or loop. Apply first clip one base width from dead end of rope. Apply U-Bolt over dead end of wire rope – live end rests in saddle. Tighten nuts evenly, alternate from one nut to the other until reaching the recommended torque. 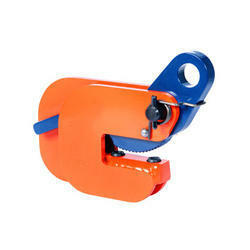 Moreover, these rope clamps are highly appreciated in the market due to their varied quality attributes. Ferrules and crimps for forming eyes and stops on stainless and galvanised wire rope. Backed by the rich industry experience, we are engaged in distributing, supplying and exporting a wide range of Lifting Clamp. Procured from the reliable vendors of the market, these clamps are developed in compliance with the international standards and norms. Clients can avail these clamps in various models with different working load limit and steel pale thickness. 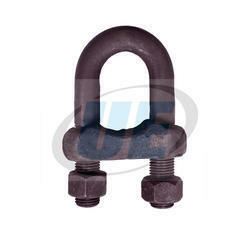 We are leading supplier of Wire Clamp (SS-304).